At the beginning of 2010, the Islamic world at large and the Islamic Studies community in particular, lost Dr Salah al-Din al Munajjed, a brilliant and eminent scholar who passed away on 18 January 2010 in Riyadh (KSA) where he had lived for many years. In the following, we present an obituary as a tribute to his memory. This obituary was revised by Zaher Al-Munajjed, son of the late Dr Salah al-Din Al-Munajjid. At the beginning of this year, the Islamic world at large and the Islamic Studies community in particular, lost a brilliant and eminent scholar: Dr Salah al-Din al Munajjed who passed away on 18 January 2010 in Riyadh (KSA) where he had lived for many years. He was buried in Al-Madina al Munawwarah. Salah al-Din al-Munajjid is known to all those working in the broad field of Islamic studies, Muslim Heritage and Arab culture. He is the editor of numerous manuscripts and the author of over a hundred publications in which he shed light on the varied aspects of the rich Arabic learning. He was also a commentator on the main events of political, social and intellectual life of the Arab world during the tormented 20th century. 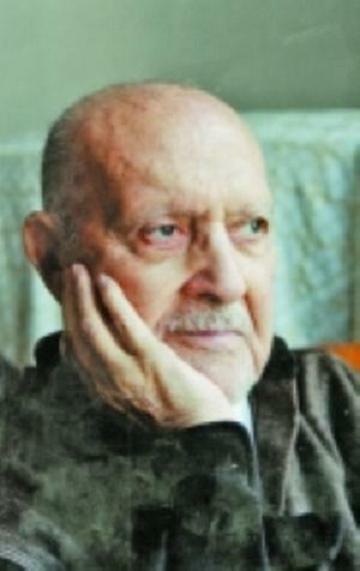 He was born in Damascus in 1920 to a family well known in the fields of learning and devotion. His father Sheikh Abdullah Al-Munajjid was a master in the Quranic sciences. Fond of reading from an early age, he began writing when he was 19 years old. His articles soon appeared in the leading literary journal of that time, Al-Risala published in Cairo by the famous journalist Ahmad Hassan al Zayyat. His first job was in the ministry of higher education in Damascus. In parallel, he pursued courses in the faculty of law. Following his graduation, he pursued his university studies in Paris at the Sorbonne University where he obtained a doctorate in international law. His love of manuscripts never left him even while occupied studying law. He continued researching and studying manuscripts and having become an eminent expert, was nominated as director of the Arab League's Institute of Arabic Manuscripts in Cairo in 1955. The Institute, founded in 1946, had as its main goal the collection of ancient Arabic manuscripts. Al-Munajjid performed this task to the best of his considerable ability. In his capacity of director of the Institute and as a lover of manuscripts, he catologued, studied and micro filmed thousands of manuscripts from around the world. He was widely acclaimed for this work and sometimes nicknamed the "Father of Manuscripts" and at other times the "Sinbad of manuscripts". This role and his love of manuscripts are reflected in his lecture "Activités de l'institut des manuscrits arabes" [Activities of the institute of Arabic manuscripts] presented to the 24th Congress of Orientalists held in Cairo in 1957. Later, Dr Al-Munajjid spent a year in Princeton University in New Jersey, USA, where he was a visiting professor. Following that, he returned to Lebanon where he resumed writing and founded a publishing house (Dar al-kitab al-jadid: House of the New Book) which focused mainly on printing his own books. During this period, his output was very large. He also gave conferences and lectures at congresses and symposia in universities and scholarly meetings all over the world. During that same period and through his writings and articles in Al-Hayat newspaper, he engaged with Kamel Mrowa, the founder of Al-Hayat, in the major political and ideological debate of that period of Arab history. The price he paid for his candid and bold opinions was the burning of his library in Beirut and an unsuccessful attempt on his life. Finally, in 1975, following the Lebanese civil war, he settled in Jeddah, Saudi Arabia, from where he continued writing and publishing, in addition to commenting regularly on ongoing events in two Arab newspapers, Al-Hayat and Al-Sharq al-awsat. The late Salah al-Din Al-Munajjid spent a great deal of his scholarly life scrutinizing the original manuscripts of Islamic culture, collecting copies, comparing them, establishing catalogues, listing indexes, editing unpublished texts and writing comments and analyses, as well as studying the various aspects of Arabic classical learning. His interests covered history, literature, medicine, calligraphy, palaeography, the contribution of women to Islamic civilisation, geography, travel accounts, and biography. With all these accomplishments, published in a large corpus of about seventy years of intellectual activity, he enriched the modern Arab library with jewels of incalculable value. The most brilliant of them are texts unearthed from the dust of libraries for the first time and published in his methodical editions. The late Salah al-Din al-Munajjid's early scholarly interest was in history, especially the history of Damascus. In the 1940s, he was one of the first to collect inscriptions on the monuments of his city, which he classified in categories according to the types of monuments. This interest in historical evidence remained with him during the whole of his intellectual lifetime. It is not surprising that one of his first major books was an edition of Ibn ‘Asakir's Tarikh Dimashq (History of Damascus). But this interest in historical literature was just one aspect of his editorial accomplishments. Connoisseur of the hidden depths of classical Islamic culture, he was aware that a great number of important texts remained unpublished. Having access to the original manuscripts, he endeavoured to edit them professionally into critical editions according to a strict methodology. His editions included Kitab Adab al-ghurabā' (The book of strangers, Beirut 1972), a mediaeval Arabic graffiti on the theme of nostalgia attributed to the celebrated man of letters Abu ‘l-Faraj Al-Isfahānī (d. shortly after 360 H/971 CE), Sharh gharīb khutbat Ā'isha… fī abīhā Abī Bakr by Abū Bakr al-Anbārī (271–328 H/885–940 CE), an eminent Arab philologist of the Abbasid period, Al-Dhahabī's al-'Ibar, Ibn al-Dawādārī's Kanz al-durar wa-jāmi' al-ghurar, and Al-Balādhurī's Kitab futuh al-buldan in three volumes. These editions are among the most quoted in recent Islamic studies. The editions he performed were supported by a deep knowledge of the rules of codicology. Remarking that sometimes critical editions are incorrectly edited, he published two books on cataloguing and editing Arabic manuscripts to warn students and young scholars of the dangers of amateur delving into the complex field of codicology . In addition, he established rules that were adopted by scholars and Arab academics. More than all his other contributions, his work as an expert in codicology must be celebrated, as it testifies to his patience, his respect for academic standards and his willingness to perform editions according to the most rigorous rules. Textual editing was only a part of Salah al-Din Al-Munajjid's scholarly skills and the outstanding contribution he made to modern Arabic culture. 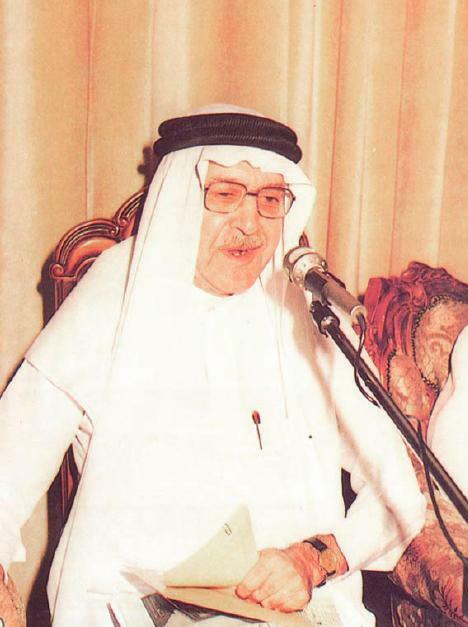 He said in the tribute that Al-Ithnaniyah Forum in Jeddah dedicated to him in 1985: "My writings reflect my culture. I endeavoured to be an associate scholar in every aspect of the Arabic and Islamic culture. This is why you find in my writings different dimensions of this culture". And indeed, the legacy of dozens of publications that he left testify to the richness of his contribution. He was not involved in only one field but tried to embrace all aspects of Islamic culture, along the model of the ancient encyclopaedists, like Al-Jahiz and Al-Biruni. Although the latter's' encyclopaedism was broader in the sense that it also encompassed philosophy and science, the absence of these specialties from the curriculum vitae of Salah al-Din Al-Munajjid reflect more a part missing from modern Arabic culture than a dimension missing from his education and research activities. An insatiable reader, his pleasure in reading led him to writing in order to share with others the results of his culture researches. Thus, he researched fields which other writers did not dare investigate. This shows his pioneering work and lasting interest in unearthing documents and data about the role of women in classical Islamic civilisation, especially the contribution of women to symbolic production, to literature, theology and calligraphy. His classical books about women in Islamic culture are still a precious source for recent studies on social history, whether be they editions or commentaries. He edited al-Suyūtī's Al-Mustazrif min akhbār al-jawārī and collected a relatively huge amount of evidence on the written documents, both extant and lost, on women in Arabic culture: "Mā ‘ullifa ‘an al-nisā'" (what was written about women). Similarly, in a related field, social history still benefits from his insights. His study on Amthāl al-'āma ‘inda ‘l-'Arab (Beirut 1981) is a main source in the article "Representations: Proverbs, Adages, and Riddles" in The Encyclopaedia of Women and Islamic Cultures: Practices, Interpretations and Representations (Brill, 2007, vol. 5, pp. 517-528). Based on the thousands of sources available to him, he wrote a number of works dealing with aspects of the social life of ancient Muslims which until then had remained in the dark. One of them, Al-Zurafa' wa ‘l-Shahhathun fi Baghdad wa Baris (Charmers and Beggars in Baghdad and Paris) was published in 1946 (reprinted in Beirut in 1969). Another one, Bayn al-Khulafa' wa ‘l-Khula'a' fi ‘l-'Asr ‘l-'Abbasi (Between Caliphs and the Debauched in the Abbasid Period), was published in 1957 (reprinted in Beirut in 1974). Jamal al-Mar'ah ‘inda ‘l-'Arab (Women's Beauty among the Arabs), published in 1957 and reprinted since by his publishing house in Beirut in 1969, is still a classical study. In these pioneering researches, he unearthed practices, knowledge and aspects of the ancient Arabic culture that were intimately linked to the daily life of the Islamic world in the classical age. In 2002, Al-Furqan Islamic Heritage Foundation issued a volume of Essays in Honour of Salāh al-Dīn al-Munajjid which contains articles in Arabic and English. Just a few weeks ago, a last book, Zawiyati fi al-hayat (My angle in life) appeared under Salāh al-Dīn al-Munajjid's name, as a farewell to his readers all over the world. The thick book of 487 pages, published by his daughter Mona Al-Munajjid, collected the newspaper articles he published in the journal Al-Hayat during the 1960s. "The accomplishments connected with Salah al Din Al-Munajjed's name are surely remarkable, and the only way we can convey that greatness is to speak about a personality that took the journey of "Encyclopedic authorship" and delved into the depths of historical studies moving between times, nations and different periods. We can speak about Al-Munajjed who wrote geography and travel literature, biography, society, events, even touched upon the amusing and the odd. He was the same Al-Munajjed who plunged his thoughts deep into the Prophet's Biography and swirled into various manifestations of literature from poetry to prose, and criticism to documentary, all this in addition to revising and re-editing over 25 classical Arabic literary works as well. The march did not stop there, for he founded the rules for the revision and editing of manuscripts and established its modern guidelines. And there are also the political and diplomatic studies, memoirs, letters and documents, in addition to innumerable revised and re-edited texts on the history of Damascus, Arabic calligraphy, ancient writings and Fatwas. We are therefore speaking of a cultural figure that cannot be described by one attribute or associated to one branch of knowledge without having another rushing to couple itself with his name. He is culture in its utmost conception, it cannot be comprehended but by the few, and it cannot be applied but by the fewest. For this reason, when Arab culture lost Salah al Din Al-Munajjed, it really lost a man of letters, a historian, a researcher, a writer, a critic, an intellectual, a scholar, a jurisprudent, and a politician, and before all these, a man who was above all at the service of his nation and religion; it lost a man who enriched the minds of generations and added a whole and complete library to the Arab tradition". In conclusion, we present some of the most important publications of Salah al-Din Al-Munajjid. the lexicon of Islamic calligraphists and penmen. Damascus: in the Eyes of Travelers and Muslim Geographers. Sexual Life of the Arabs. The Rules of Cataloguing Manuscripts. The Best of what I read about Islam. The Fatwas of Imam Muhammad Rashid Ridha. Obituary in Al-Hayat Newspaper (in Arabic) 21.01.2010 (London): click here. Salah al-Din Al-Munajjid: Al-ism al-qabil li-l-qisma ‘ala kul al-manahij al-ma'rifiya (21.01.2010). Obituary in Al-Iqtisadiyah newspaper (Riyadh) by Haitham al Sayyed (21.01.2010). Homage to Salah al-Din Al-Munajjid in the Ithnaniyah Forum (Jeddah) in 23.3.1985: Hafl takrim al-duktur Salah al-Din Al-Munajjid (in Arabic). Essays in honour of Salâh al-Dîn al-Munajjid, London, al-Furqan Islamic Heritage Foundation, 2002 (table of contents here). See the entry "Al-Munajjid" in the Catalogue Al-Kindi (the library's catalogue of the Dominican Institute For Oriental Studies in Cairo) listing a survey recording 185 items of Salah al-Din Al-Munajjid's production: click here. Ibn ‘Asâkir, Thiqat al-Dîn Abû'l-Qâsim ‘Alî, Ta'rîkh madînat Dimashq, Damascus, 1951-54, 2 vols. Règles pour l'édition des textes arabes, [s.l. ], Dar al-Ma'aref. (Extract from Mideo: Mélanges de l'institut dominicain d'etudes orientales, vol. 3, 1956, pp. 359-374). "Handlist of Arabic Manuscripts in the Library the University of Leiden by P. Voorhoeve", Majallat Ma'had al-Makhtutat al-'Arabiya, vol. 1/03, 1957. [Refutation of Handlist of Arabic Manuscripts in the Library of the University of Leiden and other Collections in the Netherlands, compiled by P. Voorhoeve, Leiden: Library of the University of Leiden, 1957]. "Les certificats de lecture et de transmission dans les Mss arabes de la BN de Paris par G. Vajda (1957)", Majallat Ma'had al-Makhtutat al-'Arabiya, 1957, 161 pp. "L'œuvre d'al-Beruni par D. J. Boilot", Majallat Ma'had al-Makhtutat al-'Arabiya, Cairo, 1957, pp. 158-159. [Refutation of L'œuvre d'al-Beruni: Essai bibliographique by D. J. Boilot, Mideo: Mélanges de l'Institut dominicain d'Études orientales du Caire, 1955, pp. 161-256]. Al-Balādhurī, Kitab futuh al-buldan, Cairo, 1956-60, 3 vols. Fihris al-makhtutat al-'Arabiyah f-i al-Ambruziyana bi-Milanu, Cairo: Ma'had al-Makhtutat al-'Arabiyah, 1960. Ibn al-Dawādārī, Kanz al-durar, Cairo, 1961. Ibn al-Dawādārī, Kanz al-durar wa jāmi' al-ghurar, Cairo, 1961. Al-Suyūtī, Al-Mustazrif min akhbār al-jawārī, [n.p. ], 1963. Al-Dhahabî, Shams al-Dîn Abû `Abd Allâh Muhammad, Al-'ibar fî khabar man ghabar, Kuwait, vol. 4, 1963 [vols. 2-3 edited by Fu'ad Sayyid]. Fihris al-makhtutat al-'arabiyah fi maktabat al-Kungris bi-Washintun, Beirut: Dar al-Kitab al-Jadid, 1969. "Remarques sur les éditions de l'œuvre de Birūni: Avec un supplément contenant une liste des manuscrits arabes connus des ouvrages de Birūni", Tehran [s.n. ], 1976, 14 pp. (extract from: Communications présentées au congrès international de Birūni, Tehran 1973). Abū Bakr al-Anbārī, Sharh gharīb khutbat Ā'isha… fī abīhā Abī Bakr, Majallat al-Majma' al-'Ilmi al-'Arabi, vol. 37 (1962), 414–27; reprinted in a book Beirut, 1980. Qawa'id tahqiq al-makhtutat, Beirut, 1987. Qawa'id fahrasat al-makhtutat, Beirut, 1987. "Mā ‘ullifa ‘an al-nisā'", Majallat al-Majma' al-'ilmī al-'Arabī, vol. 16, 1941, pp. 212–19. "Khitat Dimashq," al-Machriq, Beirut, vol. 42, 1948, pp. 39-65, 242-88, 348-70. "Masadir jadidah ‘an ta'rikh al-tibb ‘inda al-'arab", Majallat Ma'had al-Makhtutat al-'Arabiya, vol. 5, 1959. Mu'jam ma-ullifa hawl Rasul Allah salla Allahu ‘alayhi wa-sallam, Beirut, 1982. Al-Mustashriqun al-alman: tarajimuhum wa-ma-ashamu bihi fi ‘l-dirasat al-'arabiya (edition and authorship), Beirut, 1978. "Al-mu'arrikhun al-dimashqiyyun wa-atharuhum al-makhtuta min al-qarn al-thalith al-'ijri ila nihayat al-qarn al-'ashir", in Majallat Ma'had al-Makhtutat al-'Arabiya, vol. 2, November 1955. "Ijazât al-sama' fi al-makhtutat al-qadima", Majallat Ma'had al-Makhtutat al-'Arabiya, vol. 2, November 1955. "Une importante Risāla de Suyūtī", Mélanges offerts au R. P. Henri Fleisch, edited by Said Boustany, Pelio Fronzaroli, Andrzej Zaborski et al., Beirut, Imprimerie catholique, Université Saint-Joseph, 1976-77, pp. 341-344. "Women's Role in the Art of Arabic Calligraphy", in The Book in the Islamic World: The Written Word and Communication in the Middle East, edited by George Nicholas Atiyeh, New York: State University of New York Press, 1995, pp. 141-148 (online here). Le concept de justice sociale en Islam ou la société islamique à l'ombre de la justice, par Salâh al-Dîn al-Munadjdjid; traduit de l'arabe et annoté par Mohammed Hadj Sadok, Paris, Publisud, 1982. La description de Damas d'Ibn ‘Asākir (historien mort à Damas en 571); édition critique de Salah ad Din al Munajjid; traduction de Nikita Elisséeff, Damas: Institut français du Proche-Orient (IFPO), 2008, 2 vols. (vol.1: The French translation; vol.2: the Arabic text).